Glitches are mostly a result of miscommunication or mistranslation when transferring data from one environment to another. They occur in computers due to bugs in software or hardware. 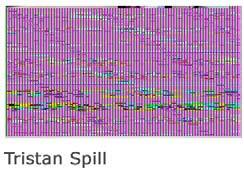 In Iman Moradi’s dissertation, Glitch Aesthetics, he divides the glitch into two categories. The first is the pure glitch which is the result of a Malfunction or Error, an unpremeditated digital artifact, which may or may not have its own aesthetic merits. The second is the glitch-alike which is the result of an intentional decision on the user side. Glitch artists either synthesize glitches in non-digital mediums, or produce and create the environment that is required to invoke a glitch and anticipate one. A glitch-alike then is a collection of digital artifacts that resemble visual aspects of real glitches found in their original habitat. Whether naturally occurring (pure glitch) or instigated (glitch-alike) there are numerous situations that may result in glitches. They can occur as a result of a scratched DVD, a corrupted stream of video on the internet or digital television, a software crash due to insufficient memory, a malfunctioning digital camera or other device. These glitches sometimes cause garbled patterns to appear on the screen. In these ways, it is argued, the glitch can be viewed as a found object similar to the ready-made. An artist/user/hacker can also cause these situations to happen deliberately; e.g., he/she can corrupt the code of a particular digital file or even physically manipulate (intentionally malfunction) the circuits of a digital device, forcing it to glitch its output, in the same way a circuit bender could with a child’s toy to create unique sounds (see circuit bending). 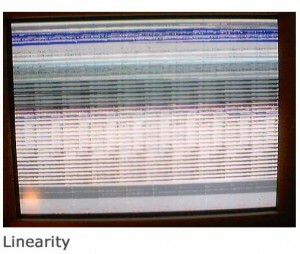 After the occurrence of a glitch (whether or not resulting from intention) it can be presented purely, as a corrupt file to be interpreted by a computer or other digital device. Glitches can also be manipulated (e.g., colors can be changed [as in Tony (Ant) Scott’s work], clips can be edited) and then saved as stable files. These files can then be printed or burned to a DVD or other media. 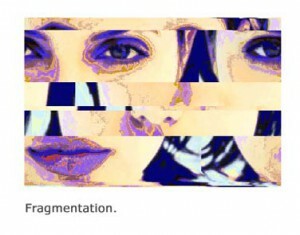 The genre of the glitch and its role in a conceptual framework can be considered as an art form. In its visual and practical manifestations though, glitches and glitch-alikes have a distinct medium like quality. They exist within other media but their often out of place characteristics have the capacity to convey a message and that is what makes them an effective medium, sub-medium or accompanying medium. The Glitch imagery may be unrecognizable from its source data, but the source is usually implied or can be perceived in an obvious manner in order for the glitch process to fulfill its objective existence, in particular when it comes to conveying meaning. The creation of Glitch-alike artwork doesn’t have to result in the conveyance of meaning, it can be fulfilling and satisfying as a process in itself. … In the world of perfect telecommunication, glitches are undesirables for which countless error checking protocols exist with the sole purpose of eliminating them. In terms of representation, the ones that don’t make it into modes of audio or visual communication are merely represented as a trace log of error occurrences that could be used to eliminate further instances before they happen. This symptomatic lack of function or unwanted function in society, gives the glitch its unique status in art.